easily the best 2nd gen Capella on craigslist on the west coast of (if not in all of) the US since mine! Weird to find it in Beverly... being pampered. Whoever's selling it must've loved it dearly (yes, the original owner). Try not to ruin it too much, please!!!!! Sorry, I am biased about cars retaining their exterior originality! 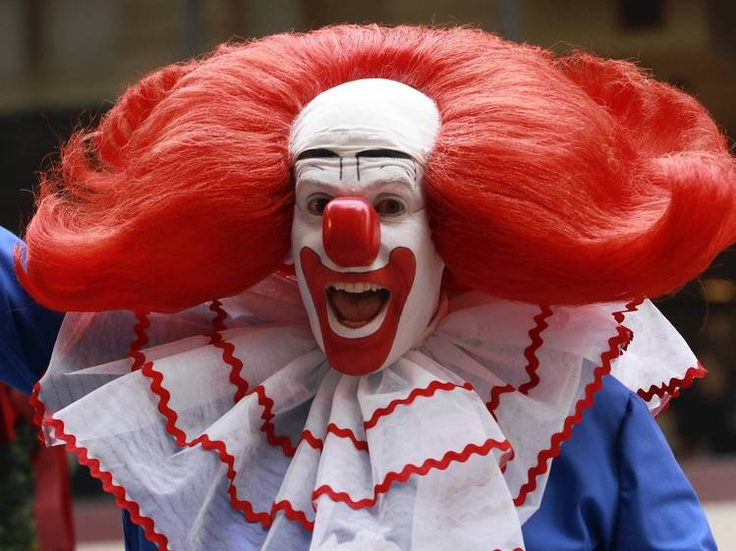 As soon as I see Boso cars I think of this. Stick a V8 in it like this one but keep it sleeper spec on the outside! That's 5.0L injected Aussie motor in Luke's one. That should get people's attention over there! The V8 will go in my Opel (it's smog exempt). 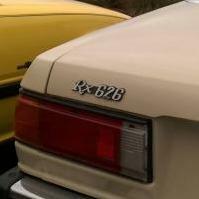 Not going to do any permanent mods on my 626. And here's a token pic from my phone. Ah yes, smog. This is why I left California! Your car is awesome!!! JDM at the ADM on September 29th (my car was next to the black one in the first photo foreground)... I should probably post more pics (and of my other car show adventure)... I'm not on here often enough. There was only one other Capella there (a first generation/early 70's one) and it wasn't even at the same part of the show (it was bigger than you see here). It was a blast anyway, especially when I told people I'd just driven 850 miles (1400km) to be there. Next time I trek down, you should join me!! We could totally show up those millions of 510s (and the accompanying Bluebirds) that seem to hang out at these shows! So I've been trying to figure out how the Fresh air/Recirculated air switch is supposed to work, but I have been failing miserably. Currently is seems like it's only letting fresh outside air in, because when I'm driving air is coming through the vents even though the fan is switched off. Sometimes I want to be able to switch to Recir. so that no air will come in. There is a lever that says PULL REC. When I try to pull it, it doesn't move (I'm not going to force it). Likewise if I try to push it, it doesn't move. It does however move to the right, but it seems spring loaded, and will always return to the left when I let go. I have tried moving the lever to the right while I have been driving, but nothing seems to change regarding the air flow. Can someone explain if I'm not operating this properly, or if there is a mechanical problem. Unfortunately I didn't get an owners manual, so I can't look this up. Thanks. Lever in - fresh air flap open. Lever pulled out towards you - flap shut and in recirc. 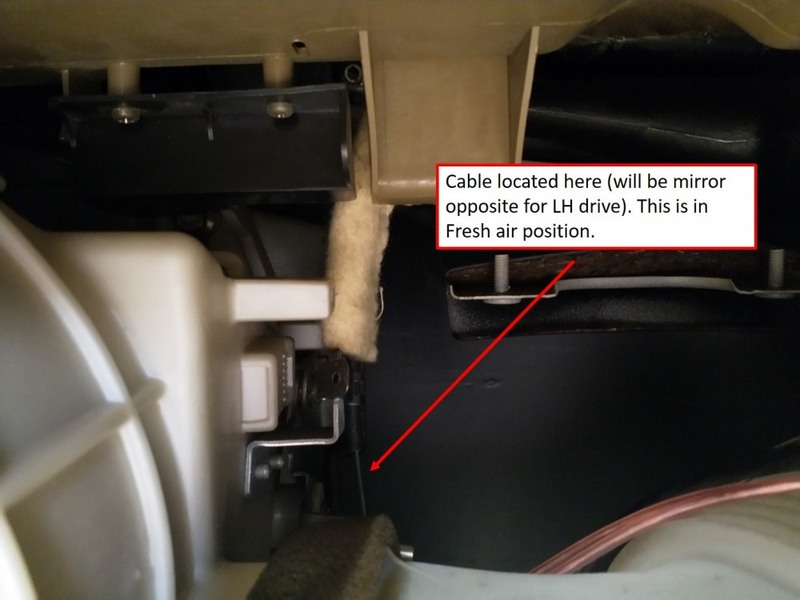 The cable runs from the lever across the dash and connects to the top front of the fan blower housing above the passenger side wheel well. 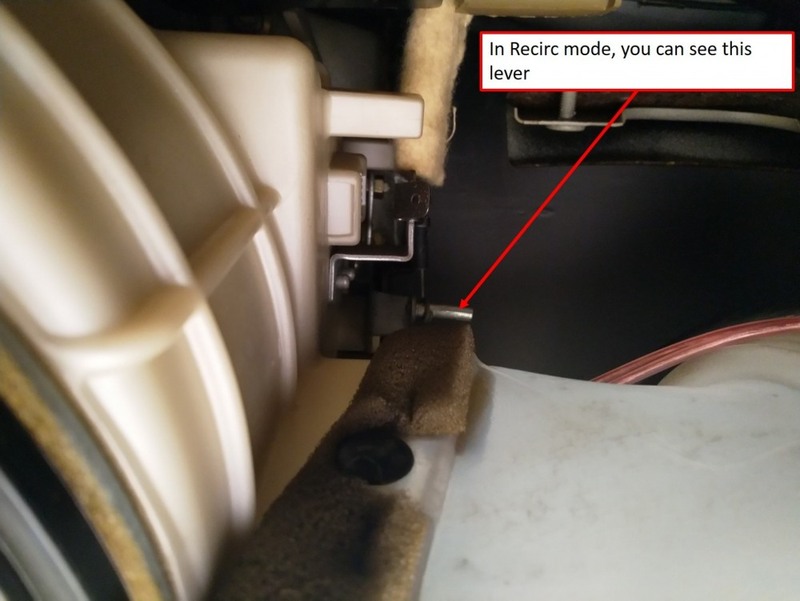 In Recirc mode, when you pull the lever out, the cable pulls the flap lever. This is a hinged lever so it raises the flap to shut off the fresh air. Thanks for the pics and description. So you really do pull the lever out or push it in? Mine doesn't seem to go in or out, it only moves to the right (as long as you hold it there). Maybe something is seized up in my car? I don't want to force it too hard and break something (else?). Does yours also move to the right (a little)? What is that function? 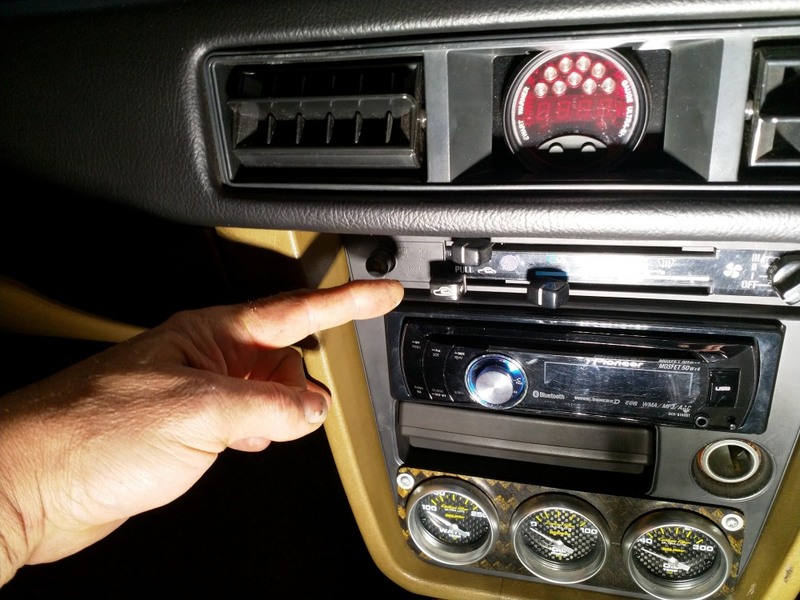 When the car was fitted with factory AC, a micro switch was fitted in behind the fascia. Pushing the Fresh air/Recirc Lever to the right would turn off or on, the micro switch to activate the AC - provided you had the fan on at least low speed. The cable may have seized up (i have never seen this happen before but there is always a first) or maybe someone has "tweaked" the leverl along the way. The only way to find out quickly, is to check your fan, like I did last night to take the pic, and check if the cable is connected to the fresh air flap lever I pointed out to you. Other wise, its disassemble the controller section of the dash. If you're mechanically minded should take you about 15 mins to get access to the heater control unit. - two Philips screws up above the heater controls - they screw into the under side of the dash. - all knobs from heater control panel ( I use pliers) - there is a tiny Philips head that holds the Recirc knob on. 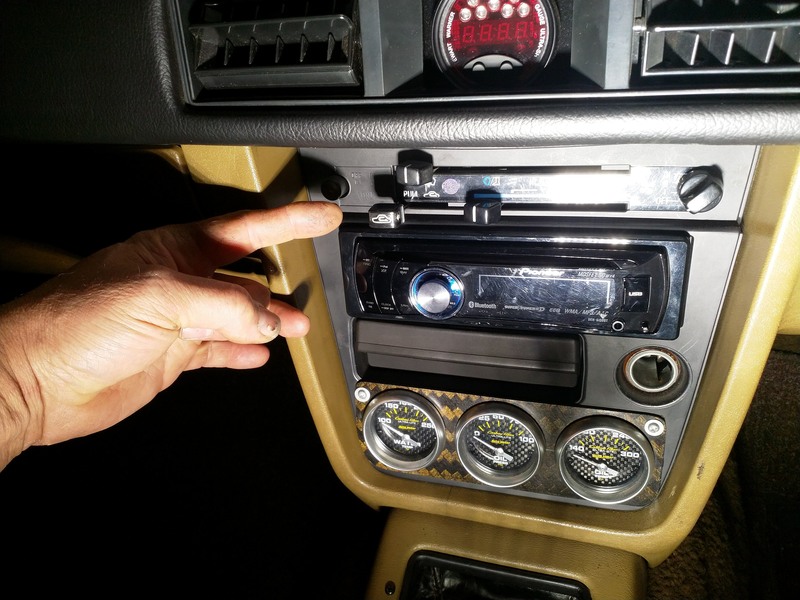 - Radio knobs and the 12mm hex nuts and washers on the tuner and volume controllers. - carefully lever the top section of the switch control fascia down from below the dash, to allow it to pop forward. BE GENTLE - or Baby Jesus will cry when you crack the plastic!!!! - carefully unclip and pull forward the whole fascia so that it gives you access to the heater control unit. To completely remove, disconnect the lighter wiring and defrost switch wiring. The heater control unit is held in by a couple of screws and the actual cables ( clips anchor them) - 1 to the fresh air/recirc flap on the blower, 1 to the heater tap RH side of heater box close to the trans tunnel and 1 to the air mixer about half way up on the RH side of the heater box. Ok, I decided to use more force and I managed to pull the lever out. I can hear the flap moving too, yay! It probably could use a little lubrication to operate easier, but it's good for now. I will have to wait until the next time I drive the car to see if that stops the unwanted air flow. Thank you for confirming the operation. And the explanation about the optional A/C makes sense too.